If you don’t have a clear, compelling and relatable story, you don’t have clients. It’s that simple. The best way to craft your story is to take a brief inventory of your life experiences and notice any themes or patterns that emerge. These are the clues or connection points that reveal to people why you do the work you do now. (Note: You do NOT have to bare your entire soul. Share the things that feel good for you to talk about and that you believe can potentially help someone else). Telling your story is a muscle that you get to practice over and over. There is no right or wrong way to do this. Lean into your intuition. Get really honest with yourself about the work you actually like to do. Ask yourself if there are aspects of your work or offers that don’t really light you up. If they don’t? Ditch them. Even if people have been paying you for them. Now think about what you love to do, everything that comes to you naturally and without effort. Write those things down. That’s where your offers should be coming from. If you don’t honor what you love to do, you won’t be able to attract the types of clients who are ready and willing to invest with you. *Know that you already “good enough”. The only validation you need is from yourself. Even if you haven’t sold $1 for service or product yet, you must believe that you and your life experience hold tremendous value. Go back to the life experience inventory. Take stock of all of your accomplishments. You are much more valuable that you realize. Want to stand out? Take a look at your lineage. What kind of family or culture do you come from? What customs or stories can you share that you may have overlooked? What or who were your influences? 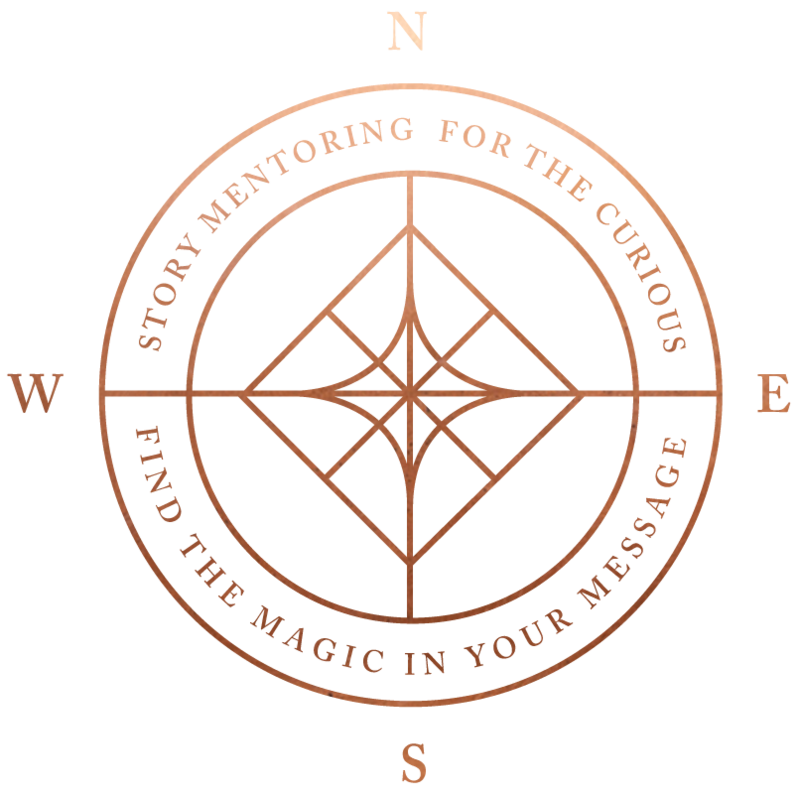 Once you infuse you message with your essence and with the things that are unique only to you, you will be able to create a compelling message that will invite people to want to find out more about you. Each morning, take the time to be present with yourself. You can meditate, do morning pages, exercise or just express gratitude for everything in your life right now. Taking the time to ground each day helps clear the path for you to set powerful intentions and creates the space for new opportunities to come in. Part of grounding is also honoring your own work rhythms. Hate working mornings? Stop. Love getting up at the crack of dawn? Start working! Feel pressured to post in 15 Facebook groups before 10 am? Don’t. Anything that doesn’t feel good to you doesn’t serve you OR your potential clients. Learn to trust your own desires. Your best, most creative ideas will come from this space. The best way to create alignment in your life and business is to always think about how you can be of service first. Who needs you? What message do you believe they need to hear? What blessing or inspiration can you dispense today? What form will it take? (A graphic, a heart felt post, or a beautiful resource that could potentially transform someone’s life). Your intuition is always going to be your most powerful business tool closely followed by discernment as your best asset. Remember that you are unique and that no one can do what you do, the way you do it. 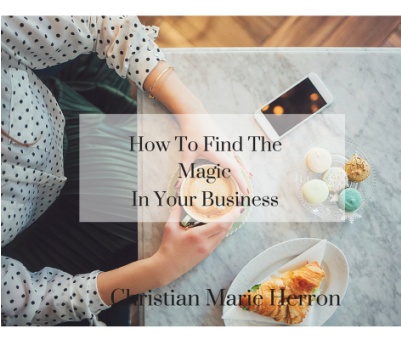 The magic is being able to articulate it in such a way that you can’t help but capture the hearts and minds of the clients who need you most because you took the time to uncover your unique language, gifts and point of view. Now go make some magic and tell us, what would you add to the list above?